THE BRAIN: From expressing who you are to enacting who you want to be - it is the key to accomplishing, being, and doing anything. Without a healthy, clear & functioning brain-organ efforts are wasted, time is lost, relationships and health suffer and generally, life is harder. Sometimes, seemingly impossible. I intend to change that! 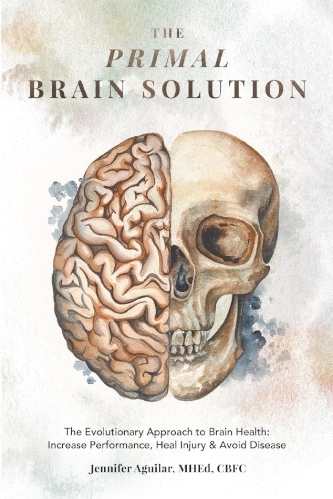 My book, The Primal Brain Solution, provides knowledge and common-sense action steps - via my blog and podcast - to enhance brain performance, avoid disease and heal brain injury. A new book by Jennifer Aguilar, MHEd, CBFC, explores the pandemic of brain injury and disease, what is causing this in our modern landscape and what to do about it. She doesn't just offer sage advice through an evolutionary lens, but helps redefine how we think about that 3-lb gelatinous marvel inside our skull.